Looking for a quick & easy project? 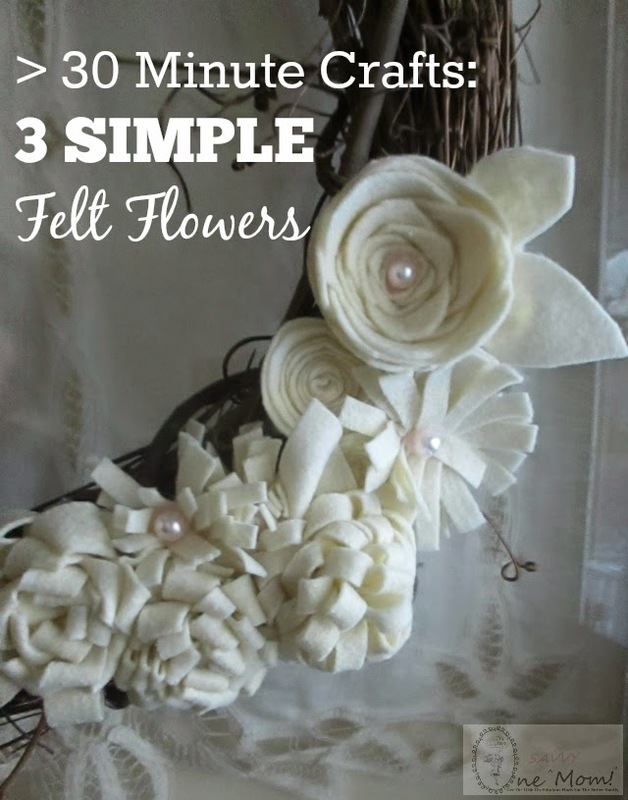 Felt flowers are super simple to make - not to mention incredibly cost efficient! Take a look below for detailed instructions (and pictures) on how to make 3 different kinds of felt flowers and a pretty wreath for your front door. The best part? The total cost for this project is only $5! We used our felt flowers to make a pretty wreath for our front door. I picked up 6 pieces of ivory felt at .29 cents ea. 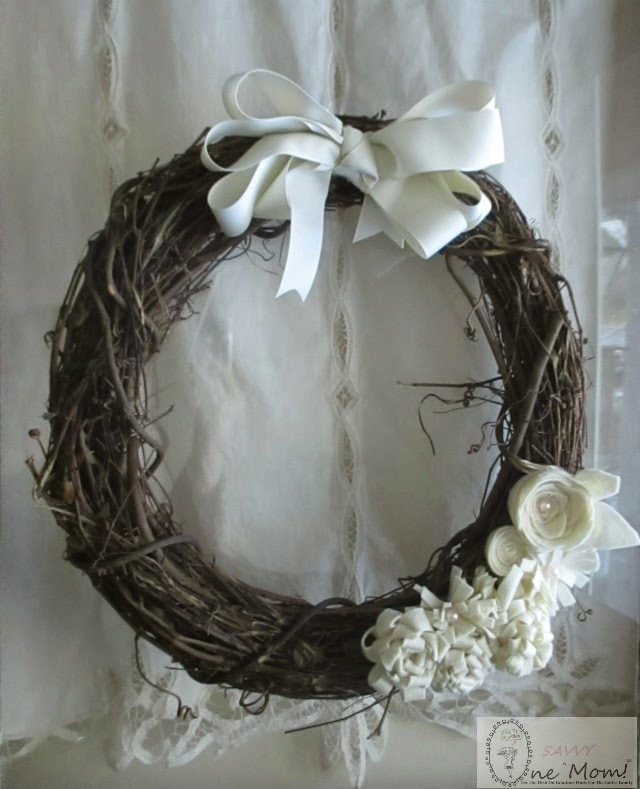 (though you could make your flowers in any color you prefer) and this grapevine wreath for just $2.50 in the floral department at A.C. MOORE. Tip: Think ahead and print out one of the high value coupons on the A.C. MOORE website to make this project even more cost efficient! 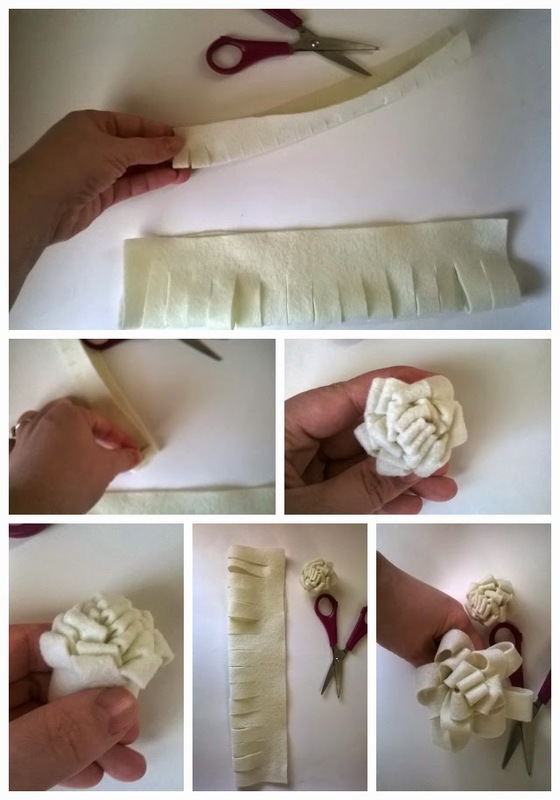 Below you'll find image tutorials on how to make felt roses, felt loop flowers, and felt fringe flowers. When you roll your flowers to assemble them, you can either use an embroidery needle and thread or hot glue (low temp hot glue gun required) to keep them together. To sew them together, simple pull your needle and thread through all of the layers at the center (and repeat a few times). OR We've found that hot glue is the quickest and easiest way to keep them together, and they hold up perfectly! Simple add a dab of hot glue to the end of the flower after it is rolled tightly (see image below). Optional: Add a pretty pearl to the center of your flowers (using a low temp hot glue gun). NOTE: You can choose to make these as small or large as you would like simply fold your felt in half. Make your cuts every quarter inch (not going quiet to the bottom - see image- and roll tightly). We used our felt flowers to make a cluster wreath. You can add a pretty bow or keep it as is. It's perfect for your front door (if you have a storm door to protect it from the elements) or for decorative purposes within your home. Our assembled wreath with ribbon (we purchased a 12 yard. spool of ivory grosgrain ribbon at Walmart for $1).